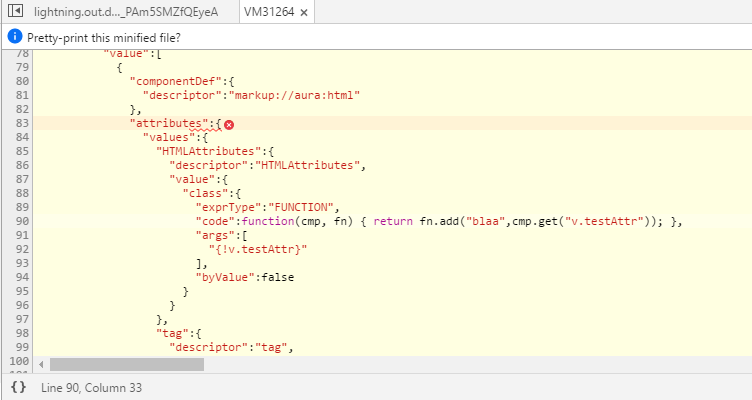 I am wondering whether Salesforce recently updated their lightning library outside of a release window - is there any way to verify the currently loaded version of aura/lightning? Which corresponds to the following component definition line - if I remove that everything works as expected. Anybody have any clues what is going on here? I will try to mess around with different API versions of files now to see if that will make any difference - the new ones are v38.0 (but equal on the development org!) while old are 37.0. Known issue with custom rerender methods - fix is in progress and currently targeted for Winter'17 .12 patch early next week. If you deactivate Locker service until the fix comes out this problem should go away. 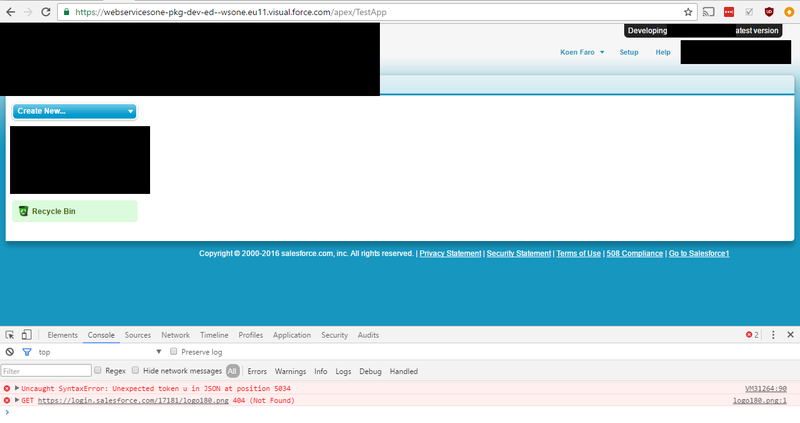 This issue is being tracked by bug W-3434017 if you want to reference that in any cases or discussion with support. I do not know about the unexpected token issue. It seems this wasn't as bad as I assumed; if I call the component using the package org namespace in the TestApp things work fine - I would however expect a compile or reasonable error - rather than JSON.parse() flipping out on me. In your .app file you need to specify access="global" if you are including the app and components in a managed package. This should solve the JS unexpected token issue. Hope that helps. Not the answer you're looking for? Browse other questions tagged lightning-aura-components lightning lightning-apps or ask your own question. Force:recordView and Force:recordEdit broken in Winter '17? Are nested aura:if elements supported? Is this a bug or simply not supported?